President’s Visit a Chance to Seek Release of Political Prisoners, Access for Rights Monitors. (New York, November 13, 2008) – Germany and Austria should use meetings with the president of Turkmenistan to press for human rights reforms, Human Rights Watch said today in letters to the German and Austrian leaders. President Gurbanguly Berdymukhamedov began his first official visit to Germany on November 13, 2008, and is scheduled to meet Chancellor Angela Merkel on November 14. His state visit to Austria, which includes a meeting with President Heinz Fischer, will be November 17-18. Germany and Austria should press President Berdymukhamedov to release political prisoners immediately, to lift the travel ban imposed on activists and relatives of opposition members, and to allow independent local and international human rights monitors to operate in the country, Human Rights Watch said. In the letters sent on November 13 to Chancellor Merkel and President Fischer, Human Rights Watch urged both leaders to seek the release of political prisoners, including Valery Pal, Gulgeldy Annaniazov, Annakurban Amanklychev, Sapardurdy Khajiev and Mukhametkuli Aymuradov. The letters also called on the leaders to press for lifting informal travel bans imposed on activists and relatives of opposition members and to permit independent human rights monitoring. 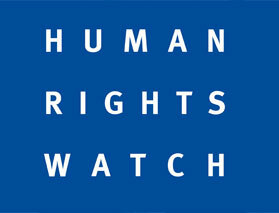 Human Rights Watch said that Germany, having taken the lead in developing a European Union Strategy for Central Asia, and Austria, as the destination country for the proposed Nabucco natural gas pipeline, were particularly well-placed to use their influence with Turkmenistan to press for an end to egregious human rights abuses. European policymakers hope that Turkmen gas will someday supply the Nabucco pipeline. So great is the risk of torture and ill-treatment in Turkmenistan’s criminal justice system that the European Court of Human Rights issued a ruling last month amounting to a de-facto ban on extraditions to the country. The European Union does not have a Partnership and Cooperation Agreement (PCA) – which set the terms for the EU’s relationships with many non-member states – with Turkmenistan. A European Parliament resolution adopted in February 2008 sets out a number of specific human rights criteria, initially formulated by the parliament’s International Trade Committee, that the Turkmen government must meet before the EU can conclude an Interim Trade Agreement – seen as a precursor to a PCA – with Turkmenistan.